Born in Russia in the industrial city of Ufa, Andrew began to learn to play piano at the age of 7. After having graduated from the Ufa State College of Arts as a pianist, Andrew was employeed as a studio musician and as a chief musical editor at the local broadcast station. Side by side with the classical music , his major influences of that period were the recordings of Keith Emerson and Rick Wakeman. Main classical preferences – J.S.Bach, F. Chopin, G. Gershwin. Since that time till today, the massive keyboard sound together with the virtuoso piano fingerwork feature his recordings made for the various bands and projects. Since 2001, Andrew Roussak has been living in Germany as a freelance artist, playing live gigs with the bands and solo piano concerts, writing orchestra scores, doing studio jobs and giving the piano and keyboard lessons. Appeared on Decameron “Ten Days in 100 Novellas” An international project managed by Colossus Ry Finland, including 33 international bands covering the first 33 novels of the Decameron by Boccaccio, a 3 CDs-Box. Currently working on his upcoming prog rock solo album Storm Warning. 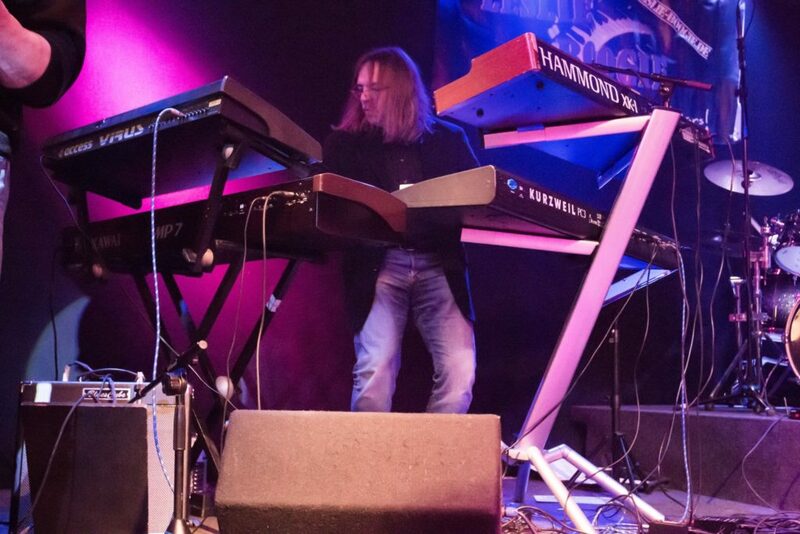 Andrew is very active on the local stage ( South Germany ), playing live gigs with various rock bands and performing as a solo pianist as well.